When you`re of the road, you don’t want anything to cloud your vision. By creating a high-pressure rush of air downward across the rear of your truck, this rear air deflector will reduce dirt, grime, and debris buildup on your rear window. 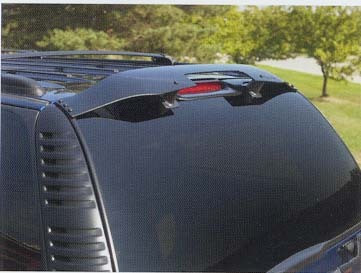 This acrylic deflector can be painted to match the vehicle body color. It will not affect the function of your third brake lamp.